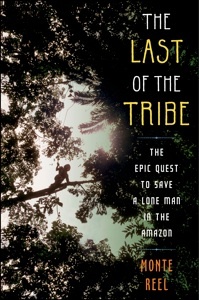 I just finished reading “The Last of the Tribe,” Monte Reel’s fantastic book about the lone member of an indian tribe struggling to avoid encroaching white settlers in the western Amazon. The book reads like a mystery, a travelogue and a short history of Brazil’s chequered indigenous ‘conquests’ all rolled into one. It tells the story of how Funai, the country’s National Indigenous Foundation, tried to contact the man when they thought he was in danger. The group believed the indian – known as the Indian of the Hole because of the mysterious holes he dug inside his jungle huts – belonged to a larger tribe who were killed off by invaders. It’s a great and easy read and packed not just with anecdotes about isolated indians and jungle life, but also about the constant conflict between the indigenous natives and the Brazilians of European descent who quite frankly think they’re savages who are holding the country back. I’d thoroughly recommend it to anyone who is interested in knowing more about Brazil’s isolated indians. The traffickers ransacked the base and Brazilian federal police were flown in to retake control. But there’s still no sign of the indians. The hope is that they sought refuge deeper into the forest, and that they weren’t killed. But right now there’s no knowing. Survival International, the British charity that defends indigenous people worldwide, is marking tomorrow’s Columbus Day by naming the five companies that most violate tribal peoples’ rights. Three of the five companies named to the ‘Hall of Shame’ are active in Latin America. “These companies really do symbolize everything Columbus signifies today – the quest for money and profit at the expense of people who simply want to be left in peace, on their own land,” Survival International’s Director Stephen Corry said. The five companies and the reasons for their choice are listed below. This Survival International page has more complete links explaining the projects involved. – GDF Suez. Part-owned by the French government, energy giant GDF Suez is heavily involved in the construction of the Jirau dam, which will be the largest dam in Brazil. The company is proceeding with work on the dam despite warnings from Survival and others that uncontacted indians live near the area affected by the dam. – Perenco/ Repsol. Anglo-French oil company Perenco, and Spanish-Argentine oil giant Repsol-YPF are exploiting the territory of uncontacted Indians in northern Peru. 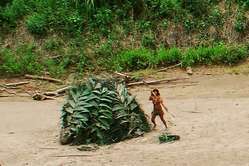 Both are operating in an area where uncontacted indians live. Perenco’s suggestions to its workers if they are attacked included, ‘Scare and repel them, or tell them to go home’. – Yaguarete Pora. Brazilian ranching company Yaguarete Pora is intent on clearing a large area of forest in the Paraguayan Chaco, even though uncontacted Ayoreo Indians are known to live there. Other members of the tribe have been claiming title to the area since 1993. Yaguarete was fined by the government for concealing the Indians’ existence, but is intent on resuming the destruction. Survival added that Vedanta Resources would have been on this list, but their application to open a controversial bauxite mine on tribal land in Orissa, India, was turned down by the government in August. I’ve been busy working on a whole load of small stuff over the last 10 days and haven’t had much time to post anything. I went to the Brazilian Steel Congress, which was fascinating in it’s own way, and I’ve filed short pieces about railways, airports and Sao Paulo’s troubles as a megalopolis. 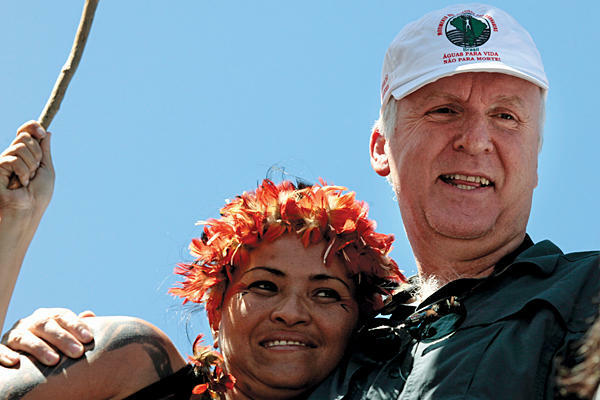 The only piece to have been published so far was this on about the Belo Monte dam project. The dam tender got loads of publicity – thanks largely to Avatar director James Cameron – and I think it will remain in the news. A lot depends on how much pressure the dam’s opponents put on authorities. If they block roads, picket entrances, take hostages, etc. – all things Indians have done in the past when protesting government decisions – things could get interesting. Indigenous leaders wrote an open letter last week to Lula, criticizing him for saying he has the Indians’ best interests at heart and asking for the project to be shelved. Here’s the letter below. For those who read Portuguese, O Globo’s Miriam Leitão has written a lot of great stuff on the subject of the dam that is available on her blog here. O presidente Lula disse essa semana que ele se preocupa com os índios e com a Amazônia, e que não quer ONGs internacionais falando contra Belo Monte. Nós não somos ONGs internacionais. Nós, indígenas das Aldeias Bacajá, Mrotidjam, Kararaô, Terra-Wanga, Boa Vista Km 17, Tukamã, Kapoto, Moikarako, Aykre, Kiketrum, Potikro, Tukaia, Mentutire, Omekrankum, Cakamkubem e Pokaimone, já sofremos muitas invasões e ameaças. Quando os portugueses chegaram no Brasil, nós índios já existíamos, e muitos morreram e perderam enormes territórios, perdemos muitos dos direitos que tínhamos, muitos perderam parte de suas culturas e outros povos sumiram completamente. Nosso açougue é o mato, nosso mercado é o rio. Não queremos mais que mexam nos rios do Xingu e nem ameacem mais nossas aldeias e nossas crianças, que vão crescer com nossa cultura. Não aceitamos a hidrelétrica de Belo Monte, pois entendemos que só vai trazer mais destruição para nossa região. Não estamos pensando só no local onde querem construir a barragem, mas em toda a destruição que a barragem pode trazer: mais empresas, mais fazendas, mais invasões de terra, mais conflitos e mais barragem depois. Do jeito que o homem branco está fazendo, tudo será destruído muito rápido. Nós perguntamos: o que mais o governo quer? Pra que mais energia com tanta destruição? é marcar o leilão de Belo Monte na semana dos povos indígenas. Por isso nós, povos indígenas da região do Xingu, convidamos de novo o James Cameron e sua equipe, representantes do Movimento Xingu Vivo para Sempre (como o movimento de mulheres, ISA e CIMI, Amazon Watch e outras organizações). Queremos que nos ajudem a levar o nosso recado para o Mundo inteiro e para os brasileiros, que ainda não conhecem e que não sabem o que está acontecendo no Xingu. Fizemos esse convite porque vemos que tem gente de muitos lugares do Brasil e estrangeiros que querem ajudar a proteger os povos indígenas e os territórios de nossos povos. Essas pessoas são muito bem vindas entre nós. Nós estamos aqui brigando pelo nosso povo, pelas nossas terras, pelas nossas florestas, pelos nossos rios, pelos nossos filhos e em honra aos nossos antepassados. Lutamos também pelo futuro do mundo, pois sabemos que essas florestas trazem benefícios não só para os índios mas para o povo do Brasil e do mundo inteiro. Sabemos também que sem essas florestas, muitos povos irão sofrer muito mais, pois já estão sofrendo com o que já foi destruído até agora. Pois tudo está ligado, como o sangue que une uma família. O mundo tem que saber o que está acontecendo aqui, perceber que destruindo as florestas e povos indígenas, estarão destruindo o mundo inteiro. Por isso não queremos Belo Monte. Belo Monte representa a destruição de nosso povo. “Só quando o homem branco destruir a floresta, matar todos os peixes, matar todos os animais e acabar com todos os rios, é que vão perceber que ninguém come dinheiro”. Indígenas das Aldeias Bacajá, Mrotidjam, Kararaô, Terra-Wanga, Boa Vista Km 17, Tukamã, Kapoto, Moikarako, Aykre, Kiketrum, Potikro, Tukaia, Mentutire, Omekrankum, Cakamkubem e Pokaimone.